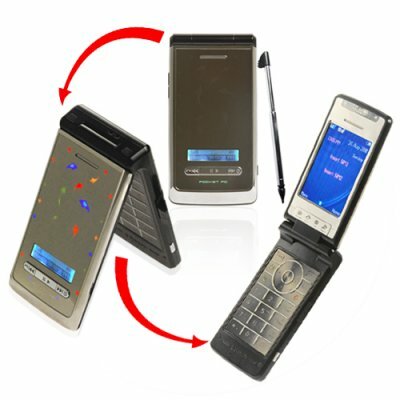 Successfully Added Clamshell Touchscreen Cell Phone - Dynamic Multimedia Phone to your Shopping Cart. GSM/GPRS clam shell multimedia cellphone with LED "color alive" case. Want a mobile phone with both functionality and style? Then have we got the answer for you! This model cell phone not only has numerous ringer, wallpaper, theme and tone options, but the shell itself actually lights up for incoming calls and messages. When we say this is a multimedia cell phone, we mean it! Among it robust set of features you will find the following; MP3/MP4 player, powerful built-in hi-fi speakers, FM radio, digital camera and video recorder, image viewer, bluetooth, and Ebook reader. This native dual-band GSM to keep you connected in more than 100 countries and contains a 3800mAh capacity li-ion battery for an extraordinary amount of work and play time between charges. Unlike some multimedia phones, this one is not locked into any particular network carrier, so feel free to use this unlocked cell phone with whatever carrier you prefer. And with the handy dual SIM slots, you can have two phone numbers for the same phone, perfect for keeping touch with your business and personal contacts while on the go. Multimedia cell phone with hi-fi speakers and rich user experience. Unlocked GSM phone. Simply put in your favorite SIM cards and you are ready for action.